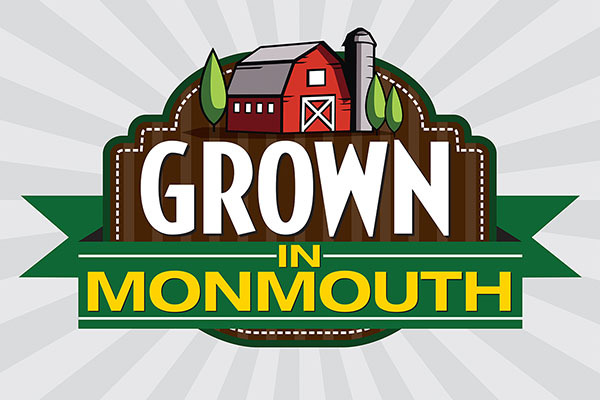 The Grown in Monmouth Marketing Logo is available for use by Monmouth County growers, sellers of agricultural products grown and raised in Monmouth County and those who make products from ingredients grown in Monmouth County. The Grown in Monmouth Logo will be provided electronically. In addition, a laminated 11” by 17” sign will be provided. Once the agreement is executed, we will provide a copy of the agreement, the electronic version of the logo and the laminated sign to you. The electronic version of the logo can be incorporated into your marketing materials and used on signs and labels. Contact us if you have any questions at 732-431-7470 or econdev@co.monmouth.nj.us.